Crude oil prices fell to $80.24 per barrel in international trade making imports cheaper for India which meets 81 percent of its oil needs via imports. Airline stocks extended gains in trade today after brent crude oil prices dropped 3.4 percent on IMF lowering global growth outlook. Crude oil prices fell to $80.24 per barrel in international trade making imports cheaper for India which meets 81 percent of its oil needs via imports. The economy is the third-largest importer of crude after US and China. Oil prices fell to two-week lows on Thursday as it extended big losses from the previous session amid a rout in global stock markets. During the two-day stock market sell off, brent crude fell nearly $5 a barrel, or 5.6 percent, and is now hovering just above $80 after rising above $86 last week. Aviation stocks which gained yesterday on a cut in prices of aviation turbine fuel (ATF) rose over 6% in trade today. While SpiceJet rose 5.05% to 73.80, InterGlobe Aviation gained 5% to reach 801 level. Jet Airways too gained 5.62% to reach 202 on the BSE. The SpiceJet stock has been gaining for the last five days and has risen 17.85% during the period. The stock touched an intra day high of Rs 74.85 or 6.55% higher compared to its previous close. The small cap stock is down 49.26% during the last one year and has lost 49.54% since the beginning of this year. 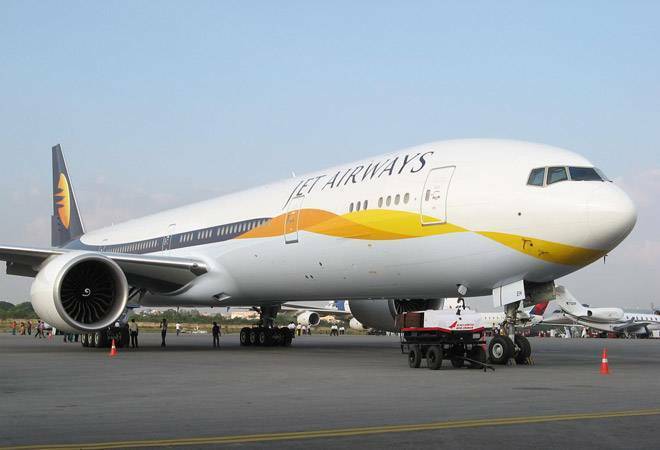 The Jet Airways stock has been gaining for the last three days and has risen 14.84% during the period. The stock opened at a loss of 2.48% in trade today. The Jet stock hit an intra day high of Rs 204.50 or 6.93% gains. The small cap stock is down 58.46% during the last one year and has lost 75.70% since the beginning of this year. The Interglobe Aviation stock has risen 10.41% during the last three days. The large cap stock hit an intra day high of Rs 804 or 5.36% gains in trade today. The stock is down 29.28% during the last one year and has lost 33.29% since the beginning of this year. On Thursday, aviation stocks rose after jet fuel or aviation turbine fuel (ATF) prices were cut by 2.6 per cent following the government decision to lower excise duty on the fuel. ATF prices in Delhi were cut by Rs 1,962 per kilolitre (kl), or 2.6 per cent, to Rs 72,605 per kl (Rs 72.6 per litre). The fuel now costs Rs 72,225 per kl in Mumbai, down from Rs 74,177. Jet Airways, SpiceJet and Interglobe Aviation stocks gained in an otherwise falling market crippled by the market crash in the US.